This week the U.S. commemorated the 26-year anniversary of the Americans with Disabilities Act (“ADA”). In honor of this landmark civil rights law, an Arizona entity called Advocates for Individuals with Disabilities Foundation, Inc. (“AID Foundation”) filed its 950th ADA lawsuit this year. You can read my earlier blogs about these lawsuits here, here, here, here and here. The AID Foundation is one of the most prolific filers of ADA lawsuits Its methods are simple (and controversial)—AID Foundation staff members drive to every parking lot in a zip code taking photographs of the accessible parking spaces. If they believe there is an ADA violation—regardless of how minor—the AID Foundation will file suit, demanding a minimum of $5,000 for its attorneys’ fees. Unfortunately, the cost of defending a lawsuit can be much more expensive than paying the demanded settlement amount, and the AID Foundation knows this. That is why the vast majority of these cases settle. Fortunately, however, there are a number of cost-effective strategies that defendants can employ to defeat these claims. One strategy is the mootness doctrine. Because the only claim a plaintiff has under the ADA is for injunctive relief (i.e., for removal of the barrier to accessibility) a defendant’s voluntary removal of the alleged barriers has the effect of mooting a plaintiff’s ADA claim. Dozens of courts within the Ninth Circuit have dismissed ADA cases under the mootness doctrine. 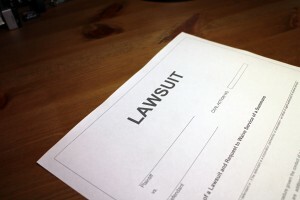 Perhaps more importantly, a case dismissed for mootness does not mean the plaintiff is the “prevailing party” and thus the plaintiff may not be eligible to receive its attorneys’ fees. The mootness doctrine is one of a handful of cost-effective ways to resolve these lawsuits. Accordingly, the first step an Arizona business or commercial landlord should take after receiving a lawsuit from the AID Foundation is to contact a capable and experienced ADA defense attorney. Lindsay Leavitt is a business litigation and employment law attorney at Jennings, Strouss & Salmon, P.L.C. He regularly represents businesses in ADA compliance related disputes and provides advice on preventative measures.